I think it's brave. And beautiful. And hard. And worth it. My dear friends the Followells (robby, jess, and meg) are adopting a little girl from India. 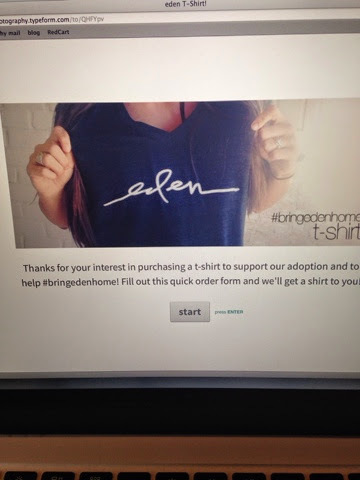 Help bring eden home AND get a super chic tshirt! Get your own eden shirt here! You can read all about their adoption journey on the followell fotography blog!